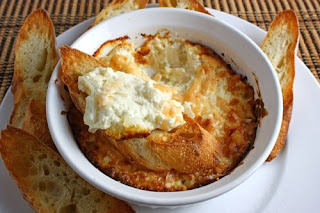 Annnnd today we have another oooey-gooey ridiculously decadent dip that depends heavily on vegan "fake" cheeses and such. On the other hand, if you're missing (or craving) those restaurant-style baked cheesy, spinach artichoke dips of your non-vegan past, OR you just need something impressive for the next tailgate party, this JUST might do the trick. Chili powder – be generous! The cream cheese and sour cream will act to “cool” the dip, so you can sprinkle away with the chili! Mix all the above ingredients in a baking dish. Sprinkle with a bit more vegan cheese on top, bake at 350 degrees for 40 minutes, then broil until the cheese on top is browned and crusty on the edges. Wow. I saw something similar in the Vegan Slow Cooker book and thought the hubby would love it, but haven't made it yet. I would LOVE it too, but I try to keep myself away from foods that I can NOT stop eating. And this sounds like one of them. Major Old School Comfort Food in a BIG way. Love it. I have tried many different variations of this over the years, trying to recreate one I used to get at a restaurant many moons ago...this one is going on my list to try soon!! !